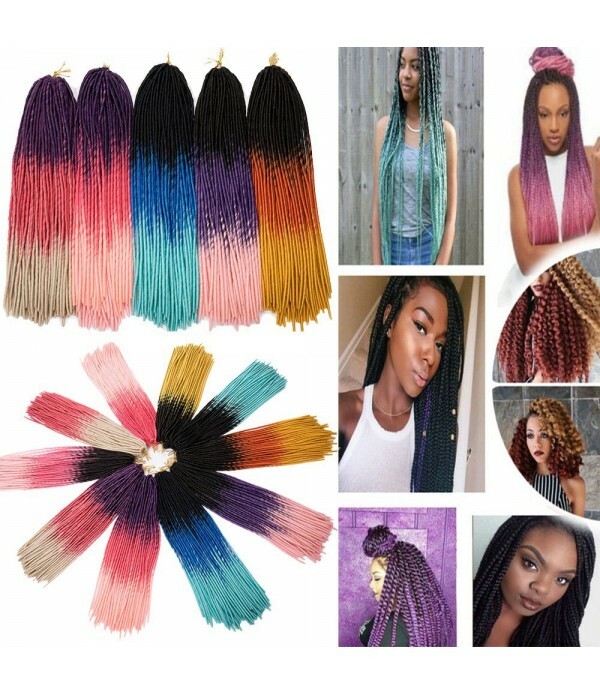 3 Tone Crochet Goddess Braiding Hair, 12 Colors optional.Combination: 5 packs/lot(20 strands per pack).Weight: 100g/pack.Length: 20 Inch.Quantity:Usually 5-6 PACKS Can be full a HeadMaterial: Heat-Resistant Synthetic Hair Fiber. 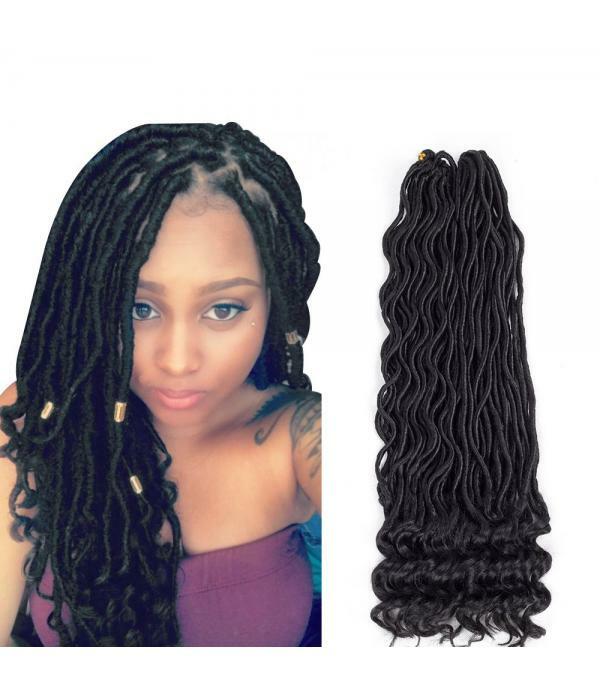 Hair Quality: Natural appearance, Soft and silky texture,Healthy a..
6Pcs/Lot (20”,#1B Color)Hair Material: Synthetic Hair, 100% Kanekalon Hair Extensions,Goddess Locs Crochet HairHAIR STYLE: Curly Faux Locs, Wavy Faux Locs with Curly Ends.Hair Size: 14Inch, 20 Inch Length. Hair Weight: 70g/Pack. Colors:#1B, #2, #4, #1B/30,1B/27#,1B/Burgu..
1. 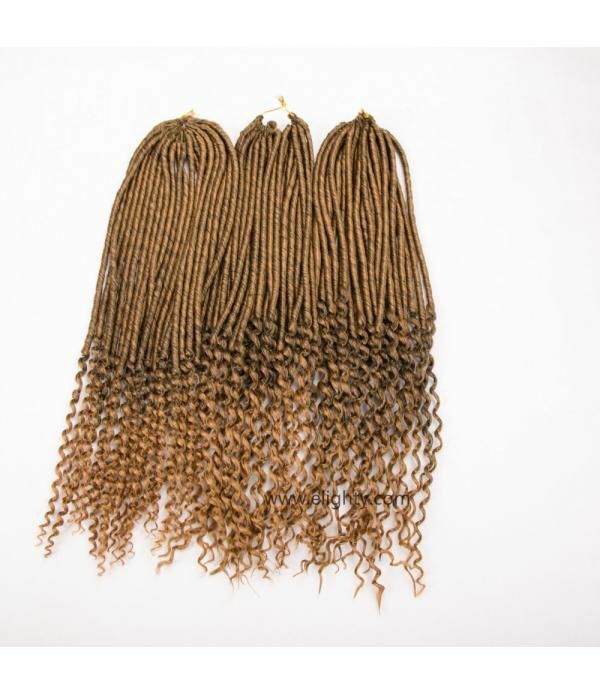 Material: 100% kanekalon braiding hair,high temperature synthetic fiber. 2. Style: faux locs crochet hair with curly ends.3. Size: 20 inches long . 4. Weight: 70g/pack.5. 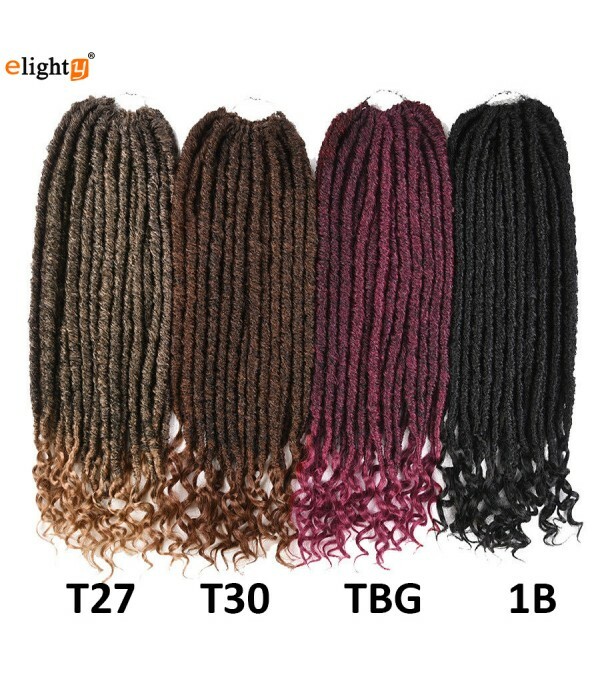 Color:1B#, T1B/27, T1B/30, T1B/Bug (black, blonde, brown, burgundy). 6. Package: 6packs/lot (24 strands per pack), ..
1.Material: 100% kanekalon high temperature synthetic fiber.2. Style: Wavy Crochet Hair. 3. Size: 18 inch long . 4. Weight: 75-80g/pack. 5. Color: T27, T30, TBG, 1B (blonde, brown, burgundy, black).6. 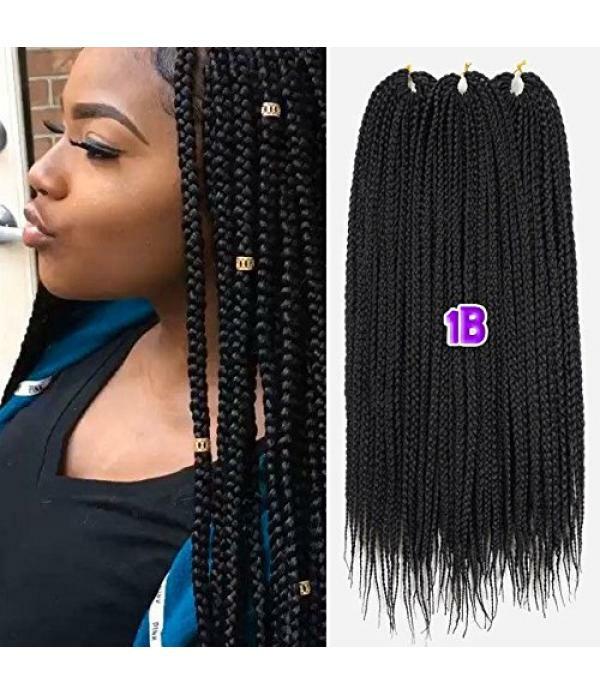 Package: 3packs/lot (20 strands per pack), normally 6 packs make a full head.7. ..